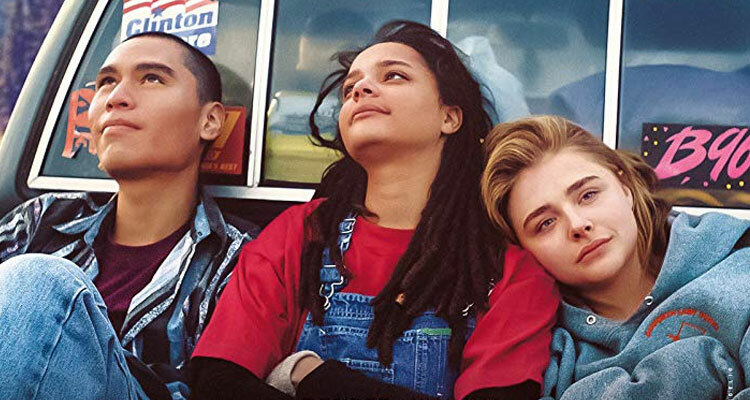 Chloë Grace Moretz plays a young girl sent to a gay-conversion camp, where she is subjected to outlandish discipline & dubious “de-gaying” methods, but this unusual setting also provides her with an unlikely community. We caught up with director Desiree Akhavan to talk about this Sundance-winning drama. Congratulations Desiree on The Miseducation of Cameron Post. How did you become a part of this production? 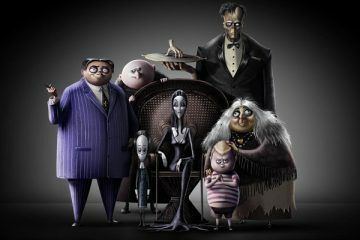 Well, I read the book and in the back of my head I thought this could make an incredible film and for years I thought about it. So after I made my first feature I called my writing and producing partner about this book I really love but I thought it would be this epic undertaking. She then read it and said she loved it and before I knew it we had the rights and we were making it. That’s fantastic you talked about how you read the book did you collaborate much with author Emily M. Danforth during the course of the filming? Oh yeah, she came to set and spent some time with us. You know she’s a friend. After I read the book I wrote her fan mail because I loved it so much and bought copies for everyone I knew and when she came to New York for a signing I met her and her wife and we kept in touch and just liked each others work a lot and it grew from there. She gave my co-writer and I a lot of freedom to do what we saw fit she understood the gift that she gave us and that we could take over it and I hope she was pleased. It was really nice having her on set though. What kind of research went into this film? Did you visit any remaining gay conversion caps? Well, first we looked at what Emily had looked at. I asked for her research material and she gave me a list of books and documentaries and then we looked at Exodus International the organisation that has now become defunct but back in the day had spearheaded gay conversion therapy in the States and we looked at the leaders and then looked into the various forms of therapy. Then we broke down what aspects of modern and Freudian therapy which were used to strong-arm individuals. We tried to use what we learned to put into the film but not the therapy scenes are from the book. We also met with several survivors from these therapies. Were you surprised at anything you learned from some of the survivors of the gay conversion camps? Yeah, it was exactly like I thought it was, laughable and over the top. And not only that the people were still quite young. I also learned that it wasn’t always Christians, one of the men I met was half Persian and I’m from Iran. And he had grown up quite close to where I grew up in New York and I was shocked at how he lived with his mother and sister but while he was in conversion therapy through high school he wasn’t allowed to speak with them. Even though he shared his home with women and a dad but he could only speak to men because the women were giving him confusing gender signals like he was too comfortable around women and was copying their patterns and the thought process of the therapy was that he needed to develop more masculine traits, he was encoded to femininely and they also prescribed him viagra which is illegal to prescribe to a minor but they prescribed it to his father and he was given viagra so he could sleep with girls and that was part of the therapy. What was it like building such a young and brilliant cast? 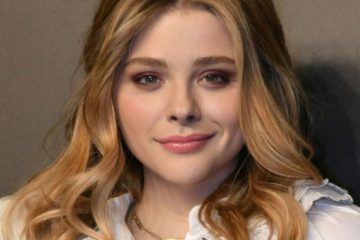 Well, we had a lot of auditions and no one was confirmed until Chloe came into play because we were looking for a Cameron and we didn’t find anyone who felt right for the part and I didn’t go into it thinking I wanted a film with a star like Chloe. I thought we’d discover someone but it wasn’t quite working. 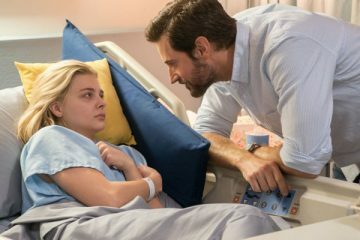 Then Chloe’s people showed interest and they wanted to read the script, they were looking for a new film for her and I was really surprised and I instantly excited. It surprised me that I was excited I felt like she was someone who I hadn’t thought of before but once I did I thought it was perfect because it went against type so dramatically because Chloe is someone who is always a bit of a Hollywood starlet type, a princess, very girly, very feminine, very clean. Then I thought how cool is it to see this girl who plays against this persona. 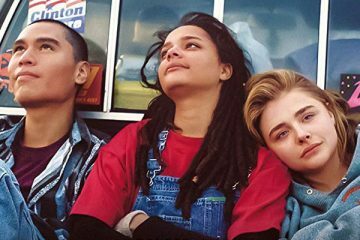 The whole cast is fantastic you have Sasha Lane as Jane Fonda, you have John Gallagher as Rick, Forrest Goodluck I thought was fantastic and a person who really impressed me and I’d like to discuss with you is Owen Campbell as Mark. He had possibly the most powerful scene in the whole film when he has his outcry. Can you discuss what went through filming that scene? I love Owen, it was a very good day for me because I trust him and from the minute I met him I knew that he knew what he was doing. He just needed someone to get out of his way and trust him and put faith in him. He’s a very studious actor, he prepared more than anyone I’ve ever met and he came in knowing that character. He carried a bible on set every day and was constantly reading it. He is incredibly smart and he just does the work and he loses himself in the character and the whole work he does so I felt really confident and it was a difficult and painful scene but he nailed it every take and I wasn’t worried that he wouldn’t. I did very little that day and he did all the work. And of course, we have Jennifer Ehle as Lydia Marsh. Was it difficult for you to paint her as a traditional antagonist because you know it can be very easy for a person like this to come across as the villain so what was it like trying to get that performance from her while still making her come across as a human? From the get-go, my co-writer Cecilia and I felt like our main goal was for an audience member to see where she was coming from and feel a kind of empathy for her. We felt that we had done our job if you felt like Rick and Lydia were coming from a pure place of wanting to help children and I never wanted to make a film that was black and white. I just wondered what would make a person think they are doing good in that type of situation and it was also again casting against type with Jennifer and Joh too because they’re really antagonistic roles ànd I always felt like Jennifer was one of the most intelligent, sweet, warm women I’ve seen on screen. She is Lizzie Bennett to me through and through because I watched that series every year growing up and I loved it. My aunts and I would watch it every year. So I was like I want to be Lizzie Bennett. For you personally how did it feel to make this film? I don’t know I suppose I care about stories I don’t see often and I lot of these stories fall into that subject matter. I don’t have an agenda but I want to make things that I empathise with and you know it’s not something that drove this. I felt like I wanted to make a teen film and that it should touch anyone who felt like an outcast whether they were gay or straight so for me, it wasn’t about me putting my own sexuality into play. But of course I’m queer and that has a huge impact on what I love and what I find interesting but I feel like no matter who you are being a teenager makes you feel like you’re diseased and that can be in terms of sexuality it can be in terms of the way you look or speak it can be the most banal or the most serious because believe me everyone feels completely abused from eleven until in my case thirty. But hopefully, people get out of it early. How do you feel seeing audiences watch this story that you were a part of? It’s incredible I mean it’s absolutely incredible. The process of making it is really lonely and isolating in a lot of ways but it’s also fantastic when you work with people you love but you all live with for however long you live with it. In my case it was two years and you just hope, you go out on a limb and you hope you’re able to achieve what you want to achieve and then achieve an impossible dream – 1. You make a film you wanted to make and you got out of it what you intended and 2. That people can love it the way you love it and with this particular film, I’ve been blessed. Cecilia and I both wanted to make this and so far we’ve been blessed with how people are reacting. Before I let you go, Desiree, I would like to ask you about something on a lighter note. When I was watching the film there’s a scene with a workout video called Blessercize, is that real? What was so cool about making this film is that all the best bits in it are from other people but one day Cecilia found it while we were writing and we wrote it into the script because in the book there was a Christian exercise video and so we always wanted something inspired by that but we didn’t want to have a parody because we didn’t want to make fun of Christians so we were looking for inspiration and she found it and so we both thought god that is absolutely perfect. It’s so genuine, I mean I grew up with a Jane Fonda work out video. Well, Desiree thank you so much for taking the time out to talk to us. 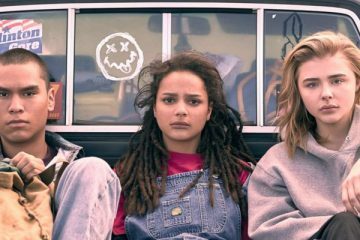 I can’t wait for The Miseducation of Cameron Post to hit Irish shores.